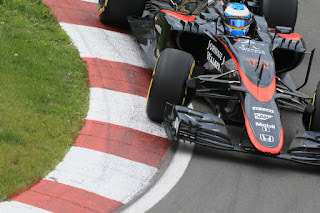 In Canada McLaren and Honda didn't have their troubles to seek. Aside from the season-opener in Australia it probably was its most trying weekend of the season, with engine changes required for both cars on Saturday and the unit showing itself to be both short on power and extremely fuel-thirsty on Sunday. All the while however optimistic noises continued to emanate from Honda motorsport boss Yasuhisa Arai last weekend. In my latest article for Motor Verso I reflect on it all as well as what might lay next for Honda.